Anita Mueller, Millinocket, ME is co-founder of Moose Prints Gallery a tourism related business in the Katahdin Region that features her wildlife and landscape imagery alongside that of partner Mark Picard. She also leads craft intensive outdoor photography workshops photographing in some of the Katahdin Region’s most picturesque and productive wildlife habitats. She previously served as: President USS Proteus Naval Officers Wives Club – Guam, USA, Scholarship Chairman, Marianas Naval Officers Wives Club – Guam, USA, President Mississippi Power and Light Women’s Club – Vicksburg, MS, President Vicksburg Council of Garden Clubs – Vicksburg, MS, Architectural Review Board Member – Vicksburg, MS, New Water Source Committee Task Force Member – Russellville, AK, Keep America Beautiful Core Committee Member – Russellville, AK, President League of Women Voters, Russellville Arkansas, Outdoor Recreation Degree Program Advisory Committee Member – KRHEC, Millinocket Town Council – Millinocket, Maine and Board Member Katahdin Tourism Partnership. Awards of note include: Conservation Leadership Award, Natural Resources Council of Maine, Business Appreciation Award – Katahdin Area Chamber of Commerce, Accredited Flower Show Judge Certification – National Council of Garden Clubs, River Valley United Way Leadership Award – Russellville, AK and multiple Historic Preservation Citations – Preservation Society of Vicksburg, MS. She is currently a member of the Katahdin Area Chamber of Commerce and the Maine Tourism Association. 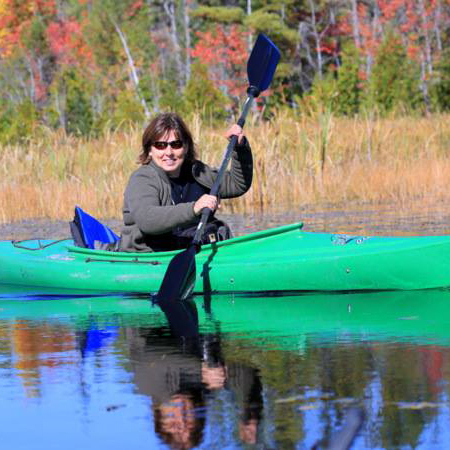 Her favorite outdoor pursuits include birding, kayaking and outdoor photography. Indoor hobbies include web design for local organizations including design and development of the recently launched Discover Katahdin visitor’s app.